Last week I had the pleasure of hosting The Art of Being You with author and fellow life coach Donnalynn Civello! What a powerful experience to motivate our audience to learn, accept, and love who they are! 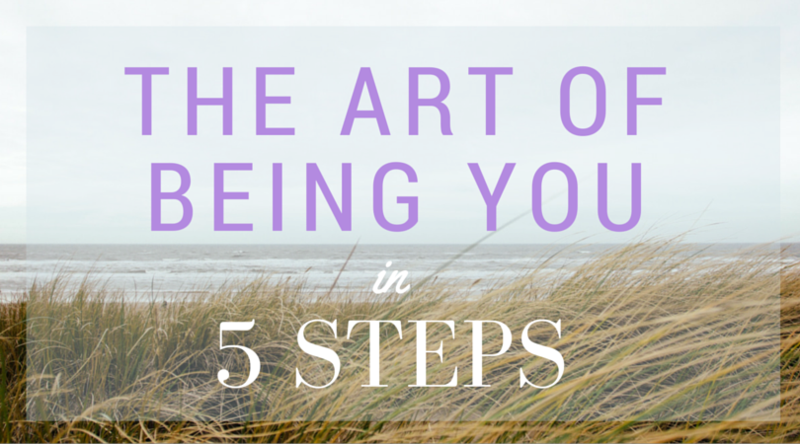 If you missed the workshop here are 5 steps to learning the art of being you developed by Donnalynn and myself. Finding yourself: It is a lifelong journey of listening to yourself. Who you are evolves slowly; it doesn't happen overnight. It is a process of listening to what you love and what makes you happy. Fake it till you make it: What you say about yourself matters. It foretells what will become true for yourself. Know your own equation: We all have a personal equation of strengths and weaknesses and in order to effectively navigate through life, it is vital for you to know each of them. Know what makes you different: People who fit in never get seen, they get lost in the crowd. It is never about fitting in, but is is about BEING YOU. What you buy into is yours: Your thoughts about yourself define who you are. If you adopt others’ thoughts, you become a reflection of who they think you are, not who you really are. Learn to stay in your own lane: Once you know who you are, then it's time to take that road and BE that person. When you love, you win: When you love yourself, you take care of yourself and you give yourself what you need to be happy. In turn, this affects your next experience. Turn off the faucet before it runs dry: When you love yourself, you prioritize yourself. It is about self-love, not selfishness. Mirror, mirror on the wall: How others love and treat you is just a reflection of how you treat and love yourself. Meet me at the line or you cannot play with me: Always know what your boundaries are or you will find that they will always be crossed. Accepting crumbs will never give you the full loaf of bread: You get what you accept and if you are contented with crumbs alone, why would anyone give you any more than that? Learn how to say no before saying yes: You betray yourself every time you say yes when you actually mean no. Choose what you want: You do not always get what you want, you get what you choose. Believe it or not, it is not always the same thing! You have to lose to win: Holding onto what makes you unhappy, keeps you unhappy. Try to let go of any negativity that surrounds you. When a relationship ends, learn from it: Every relationship provides you with a learning experience with the opportunity to learn and grow. See photos from the event on my Facebook page! 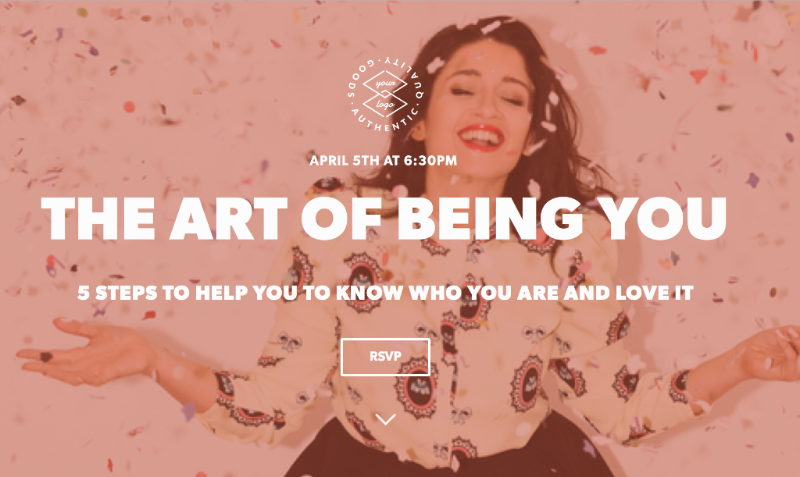 Join Donalynn Civello, Intuitive Life Coach and author of Life Lessons, Everthing you wish you had learned in Kindegarten, and me, Caroline Leventhal, for an evening of wine and vegan delights while we celebrate THE ART OF BEING YOU. I will be co-hosting this self-love soirée on Tuesday April 5th, 2016 from 6:30 PM to 9:30 PM at Chef Daphne's Exhibit C - 88 Eldridge Street, New York, NY 10002. This event is all about honoring your favorite person- you! YOUR LIFE CHANGES IN AMAZING WAYS. In New York City, it is perfectly normal to enjoy dinner at the bar solo or to even have lunch at a table for one. For some reason, I never have, so I decided to try something new - dating myself. I had a frivolous lunch at Fred’s Downtown followed by window shopping at the new Barney’s on seventh avenue. I enjoyed the newspaper at Barnes and Nobles and ended my day by visiting the renowned galleries in West Chelsea. Surprisingly, I felt incredibly productive during this leisure time. MY DATE WITH MYSELF ALLOWED MY BRAIN SOME TIME TO THINK, DECONSTRUCT, AND FEEL INSPIRED. Because of this, I feel an entirely new appreciation for “me” time. With a husband who travels constantly, it is imperative that I find comfort in solitude. My next independent date will be to go to The Metropolitan Museum of Art to revisit all of my favorite childhood spots. Enjoying time with yourself is one of the greatest acts of self-love you can give yourself! Four years ago I was diagnosed with thyroid cancer and had my entire thyroid removed. At the time I was unaware of the true function of my thyroid and what I would need to do in the future to compensate. Ever since then, I rely on Synthroid (a medicine that mimics thyroid hormone) and I made healthy lifestyle changes to re-balance my body. One of the most fundamental changes I made to improve my endocrine system was to move my body everyday -- especially taking time to breathe properly while doing so! In the past few months, I began my thyroid yoga training with Fern Langham who has a morning routine to beat fatigue, improve concentration, as well as boost your entire metabolism and thyroid function. The first move of the series is a thyroid breathing exercise. Thyroid Breathing helps increase circulation, release toxins, as well as move any stuck energy. We are increasingly becoming more aware of our need to pay attention to what is in our food and how it’s grown, but are we thinking about the farmers? Do you think about the man or woman in Florida or California who ripped the tomatoes off the vine? Farm workers’ conditions in many big companies are abysmal. America's roots (literally) are in agriculture -- While Europe was industrializing we were an agrarian society. How is it that people who work for major produce distributors are still treated in the harshest ways? And those that hand pick the glorious fruits and veggies we eat can go hungry for days, only to collect a paycheck of 47 dollars for a 16 hour work day? If you are interested in learning more, I suggest you watch the documentary, "Food Chains" brought to you by the creators of Food Inc.
Let's take a stand to care about our food and the people who help get it from the ground to our mouths. Cold, gray, windy... and stores are flooded with pink and red hearts! The 14th of February isn't just a day about romantic love, it's a day to celebrate the love you have for everyone in your life -- especially the love you have for yourself! After all, the only person with whom you are guaranteed to spend the rest of your life is yourself. Say out loud, “I love me! I am a self-help/self-awareness junkie. Someone who really loves the mechanics of the brain and is fascinated with our emotions and how we can control them. If you are nodding your head in agreement to all of the above, then you must watch Disney Pixar’s Inside Out. The movie features 11 year old Riley’s brain where each character is an emotion - joy, sadness, fear, disgust, and anger. If you haven’t already watched it, I highly recommend the movie because it is a great illustration of what is happening inside our mind! Our brains are actually programmed for negativity, which means happiness is truly a muscle we all need to exercise. The realization that you have control over quieting or hearing certain voices in your head is truly empowering and liberating. Watch the movie, learn to become more in tuned with your "Joy" and start listening to her the most! How powerful is our mind? Have you ever made yourself so anxious everything took twice as long to do, because your brain was going 10,000 miles an hour? Well, I have. My health is one of my biggest sources of anxiety. Some would say I am a bit of a hypochondriac or a bit neurotic and I tend to create problems where they don't exist. Most often, it is the latter. anxiety does not serve me, I must have patience and trust that everything will be okay. What are your New Year’s resolutions? Tag me at @healthiswellth on Instagram.